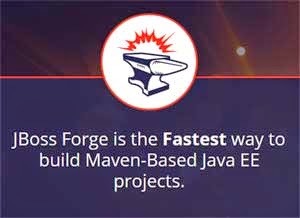 JBoss Forge is the Fastest way to build Maven-Based Java EE projects. And as such it already has awesome features to make your life as a developer even easier. 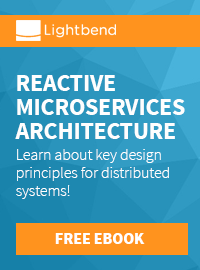 For the most part, people looking at Forge are likely interested in creating web-applications. There are plenty of ways to get started with the Forge basics. You can look at the quickstart section or look at the github repository. Just some short days ago Forge got even more awesome. George Gastaldi (@gegastaldi) created a NetBeans Plugin for Forge which allows you to execute all forge commands via the build in NetBeans quick-search. To install the plugin just download the latest version from the netbeans plugin portal and unzip the two nbm files to a folder of your choice. Start NetBeans and navigate to "Window>Plugins" select the "Downloaded" tab and click the "add Plugin" button. Navigate to the folder in which you unzipped the two files and select them. Click the "install" button bottom left and click through the wizard. Restart NetBeans and you're ready to go. The following video gives you a brief overview about what is possible already.